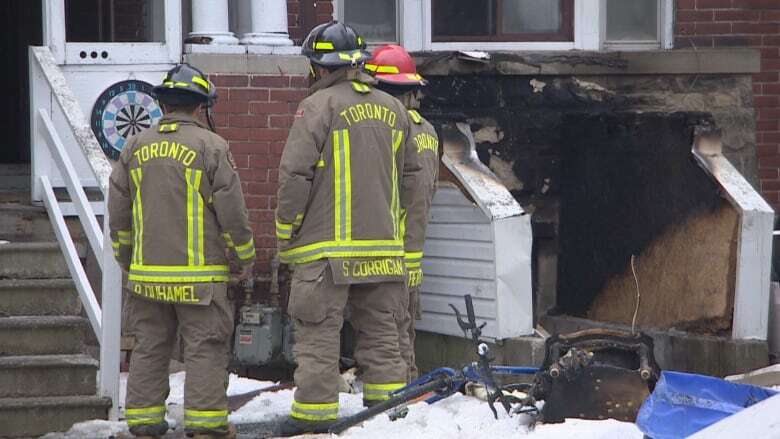 Two people, including a Toronto firefighter, were injured in a fire in a Parkdale rooming house early Saturday. 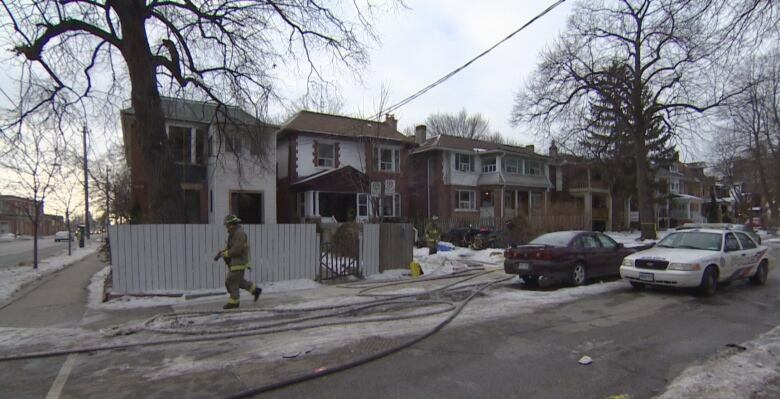 One person suffered serious but non-life-threatening injuries, while the firefighter sustained minor injuries, according to Toronto paramedics. The blaze in the two-storey brick home on Temple Avenue, near Dufferin Street and King Street West, displaced six tenants. Firefighters were called to the fire at about 2:10 a.m. When they arrived on the scene, smoke and flames were visible from the windows. 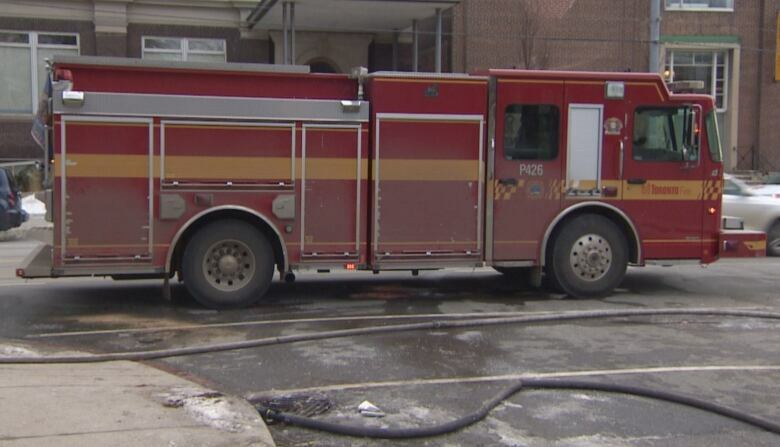 "There was a lot of refuse hindering our entry," Toronto Fire Capt. David Eckerman told CBC Toronto on Saturday. Initially, it was a one-alarm fire, but it became a two-alarm fire within minutes. That means nine trucks and 36 firefighters responded. The fire was extinguished by 3 a.m., Eckerman said. Paramedics said they took a tenant who suffered smoke inhalation and a firefighter who was light-headed to a local hospital. Fire damage was contained to a basement unit, but there was water and smoke damage throughout the rooming house. The fire did not damage any adjoining buildings. A TTC bus was used as shelter for the six displaced tenants. The six are receiving help from the Red Cross. The cause of the fire is being investigated. Firefighters are still at the scene.